The revival of old political tensions between the ruling FRELIMO and the opposition RENAMO political parties has led to a deterioration of civic space in Mozambique. On 23rd July 2018 Decree 40/2018 was issued, which substantially increases the fees for the registration, licensing and renewal of licenses for media outlets while also increasing the fees for the accreditation of both local and foreign journalists. The new fees would make Mozambique the most expensive country on the African continent for journalists and media outlets. On 23rd July 2018, Decree 40/2018 was enacted, substantially increasing the fees for the registration, licensing and renewal of licenses for media outlets. It also increases the fees for both local and foreign journalists' accreditation. The new decree now makes Mozambique the most expensive country on the African continent for journalists and media outlets. Community radio and television stations are also affected by the decree, as they will be obliged to pay 50,000 MZN (822 USD) and 150,000 MZN (2,465 USD) for their licensing fee. The license fees for national media outlets are also high. A license for a new national radio station would cost 2 million MZN (32,700 USD) and 3 million MZN (49,050 USD) for a new national television station. These exorbitant prices also apply for the renewal of licenses and the adjustment of current licenses to adhere to the new regulations. An overview of fees can be found here. Journalists also face increasing accreditation fees: a foreign journalists will have to pay 500,000 MZN (8,219 USD) per year, while a national correspondent for a foreign media outlet will have to pay 200,000 MZN (3,287 USD). Accreditation for freelance journalists will cost 30,000 MZN (493 USD) for a national journalist and 150,000 MZN (2,465 USD) for a foreign freelancer. "Not only do these fee increases by the Mozambican government make it practically impossible for independent press to continue working, they also lay bare a flagrant attempt to undermine transparency ahead of elections and as the country brokers natural resource deals." On 25th August 2018, the Special Rapporteur on Freedom of Expression and Access to Information in Africa, Lawrence Mute, also expressed his concern. He stated "that the decree imposes prohibitively high fees for journalists and media which will undermine the expression and dissemination of information." Meanwhile, on 14th August 2018, several civil society organisations petitioned Mozambique's Ombusdman to revoke the Decree. Due to the opposition against the new decree, GABINFO announced on 21st August 2018 the creation of a mixed commission, composed of representatives of the private media, the Sindicato Nacional dos Jornalistas (SNJ; National Syndicate of Journalists) and national and international correspondents, to study the controversial fees imposed by the decree. The announcement came during meetings with private media outlets, CSOs and journalists on 21st August 2018. Representative of GABINFO, Cecília Gonçalves, said that "this does not mean that the decree will be changed. What can be changed is the tariff-setting chart”. The institution also stated that the new fees were not yet in force, as the norms and procedures for the accreditation and licensing are still to be developed. On 7th May 2018, approximately 100 people from the Sidwava neighbourhood in Matola, Maputo Province, organised a protest. Participants marched to the presidency in Maputo calling for the intervention of President Felipe Nyusi in a land dispute between residents and troops stationed in the Sidwava neighbourhood. The protesters demanded the cessation of military training in the area which they claim recently resulted in the death of a seven-year old child. Deutsche Welle reported that, in the weekend of 28th July 2018, one person was killed and two seriously injured when the Rapid Intervention Force intervened in protests in the district of Inhassunge in Zambézia province. Citizens protested against plans for their resettlement to make way for the exploitation of heavy mineral sand, a concession given to the Chinese company Africa Great Wall Mining Development Company. A few weeks prior, a government official was allegedly injured after citizens threw stones at him during a meeting. 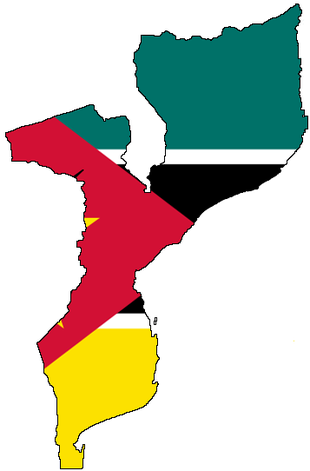 While Mozambique’s constitution guarantees the right to form associations, the law restricts this right in practice by, for instance, requiring that there be a minimum of ten founding members. While Mozambique’s constitution guarantees the right to form associations, the law restricts this right in practice by, for instance, requiring that there be a minimum of ten founding members. Civil society organisations also bemoan the need to submit an excessively large amount of documentation, including copies of all identity documents and a criminal record certificate for each founding member. These rules constitution significant and practical challenges for NGOs, particularly for associations based in rural areas. A vague provision allowing for registration to be denied in cases where associations offend “public morals” is abused to prevent the formal existence of LGBTI organisations. LGBTI association LAMBDA has been waiting for registration since January 2008, despite repeated requests and petitions for it to be registered. Financial obstacles to the enjoyment of the freedom of association also exist: it costs $440 to register an association, an amount beyond the means of most local groups. In practice, there are signals that the operating environment is becoming more difficult for CSOs in Mozambique. Though CSOs are not legally obliged to report their activities to the state, at a district level the government periodically asks them to report on what they have been doing. CSOs also face intimidation and in October 2016, the offices of national umbrella body JOINT-League of NGOs were searched by unknown persons and computers, cameras, flash disks and documents were stolen. A month earlier, the League of Human Rights had its offices broken into in a similar fashion. The President of that organisation, Alice Mabota, received death threats prior to a march demanding governance and fiscal accountability from the state. Environmental activists and those monitoring large multi-national mining companies also face threats, harassment and intimidation. In 2013, activist Justiça Ambiental was attacked and verbally abused in his house in Tete province. The police have so far failed to undertake meaningful investigations into this case. Mozambican law enables peaceful protests but these rules are not implemented as they should be. Mozambican law enables peaceful protests but these rules are not implemented as they should be. The law requires that organisers notify police in advance of an assembly; in practice the police treats this as an approval procedure, thus granting themselves the authority to deny permission for protests to go ahead. In 2013, a local CSO in Niassa province was asked to cancel a demonstration concerning the poor condition of a road. Although the authorities had been notified of the protest, they claimed they could not provide adequate security. The CSO went ahead with the protest and was later fined US$8,800. In 2015, police interrupted a solidarity march in support of an assassinated constitutional lawyer, claiming there was no permit for the march. Police also intimidate protestors by deploying excessive numbers of heavily armed police accompanied by dogs, even to small protests where there is no likelihood of violence. In 2013, rubber bullets and teargas were used on protestors who refused to make way for a coal mine in Moatize. Although the law protects press freedom, the 1991 Press Law and the Penal Code criminalise defamation and slander with jail terms prescribed upon conviction. Although the law protects press freedom, the 1991 Press Law and the Penal Code criminalise defamation and slander with jail terms prescribed upon conviction. In a positive development, an Access to Information Bill was passed in 2014, with the intention of enabling better access to information from state and private entities. The Internet is unrestricted but, for most, access is difficult and expensive. The state controls a daily newspaper and the state broadcaster and private media houses also exist. In practical terms, media organisations and individual journalists face a range of threats. In 2016, Malacha newspaper and radio stations Dom Bosco and Canteme suffered break-ins. In June of the same year, the editor and director of Zambezia newspaper were detained and questioned by the police, in violation of normal legal procedure. In 2014, community radio station Catandica was shut down for 20 days without explanation. The lives of journalists are also at risk in Mozambique. In 2015, crime journalist Paulo Machava died in a hail of bullets in a targeted drive-by shooting. There is also widespread intimidation, harassment and death threats made against journalists. Other dissenting voices are also at risk. This trend was highlighted by the 2015 assassination of constitutional lawyer Giles Cistac for political comments he made in favour of opposition demands for provincial independence. Another academic professor Jose Jaime Macuane was abducted and injured in that same year. A criminal case was also opened against a member of think tank Institute of Social and Economic Studies for a critical letter of the President posted on Facebook. He was later acquitted.